It’s that time of year where Cardiff braces itself for up and coming talent in the fashion world, showcase whats available to purchase in stores in our city and celebrate Welsh design, fashion and art. Cardiff Fashion Week takes place from the 22nd of October till 29th of October 2016, with showcases and events happening across the city. This years main event and catwalk show will take place in the beautiful Masonic Hall on Saturday the 29th of October 2016, which will showcase a collection of work done by the University of South Wales, Welsh Fashion Designers and retailers. Read on to find out about whats going on throughout the week! One collection I feel that will get a lot of interest is a collection from the University of South Wales, titled ‘Self’. The collection features clothing that is completely genderless, which is a huge topic at the moment in fashion, and allows whoever wears the clothing to make it their own and customise it to their own unique look. The collection will run throughout the show as a special feature. Kai Steward, who is part of Jaxxon House in Pembrokeshire won ASOS 2014 Young Designer of the Year award, and is showcasing his work in the fashion village, which will include interactive workshops, demonstrations and will be included in the finale of the week at the fashion show. Miss Wales 2012 and runner up in Miss World, Sophie Moulds, is showcasing her own work at this years Fashion Week. Her brand, Sophie Elizabeth London, will be adding the finishing touches to everyones look with her bespoke jewellery collection. The whole range will be available to look at in the designer village on the 29th of October. During the week, a brand partnering with Cardiff Fashion Week will be encouraging everyone to take part in fashion related events during the week so everyone can get involved. I’m sure they will be hosting a number of events showing you how to get the most out of your clothing and upcycle to create new looks from old clothing. Another fun event during the week will be a Upcycle competition, in which bags of clothing will be given to aspiring Artists, Designers and Fashion enthusiasts, where you upcycle an revamp old clothing and the final pieces are auctioned off to raise money for Ty Hafan, who is the official charity for Cardiff Fashion Week 2016. This gives anyone entering the perfect opportunity to catch industry professional’s eyes at the talent Wales has to offer. It sounds like this year Cardiff Fashion Week has really pushed the boat to get everyone involved to appreciate fashion, raise money for an incredible charity, and showcase the best Wales has to offer in styling, fashion, art, and design. Tickets to Cardiff Fashion Week are available at http://www.visitcfw.co.uk/ which gets you into the designer village and the main show on the 29th of October. 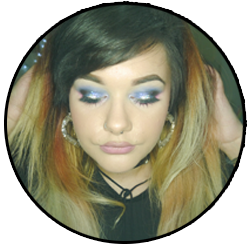 Posted on October 18, 2016 by sindyydollPosted in In and Around Cardiff, Local and National EventsTagged bblogger, cardiff beauty blogger, cardiff blog, Cardiff blogger, Cardiff fashion week, cfw, cfw2016, fashion blogger, fashion week, fashion week blogger. Previous Previous post: Korean Skincare and makeup Haul at TK Maxx Cardiff.